Arrived at boat yard at 05:05 and set off out off Salcombe Estuary with Banger, a local boat builder, engineer, and local Fire brigade member. 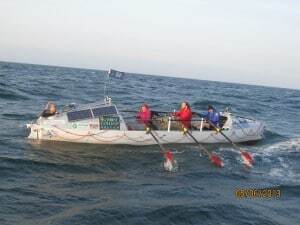 We enjoyed the flat calm of the estuary before hitting the strengthening easterly that made the chop quite uncomfortable as we searched for third placed boat BOUDICA with team Oarsome Adventures. 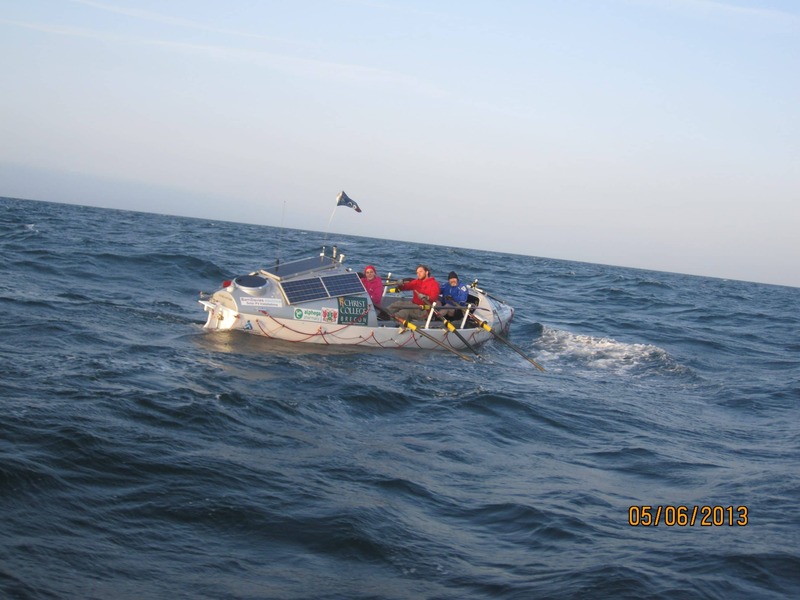 After a long sweep out and round almost to Start Point, we spotted the mixed six crew rowing at quite a lick, taking full benefit from being with tide and with wind. 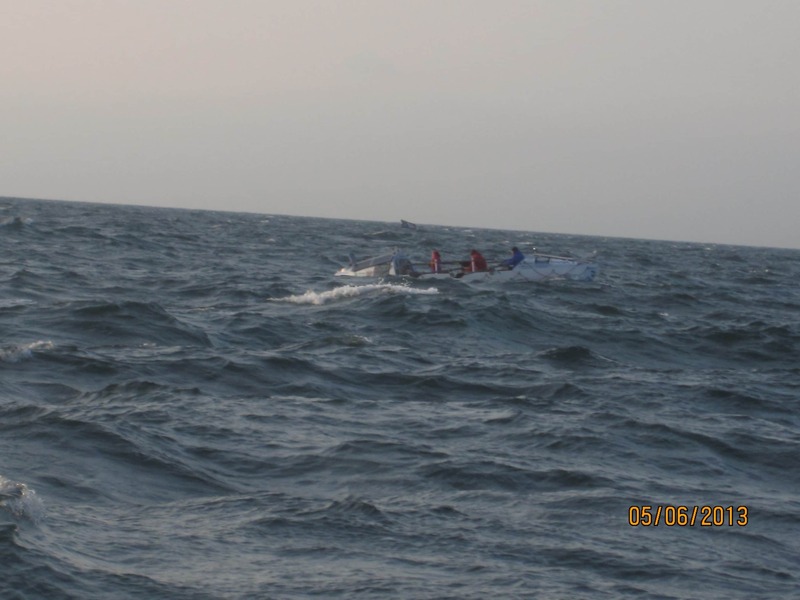 Heather Rees-Gaunt and Karl Steans and Ian Kavanagh were on the oars. 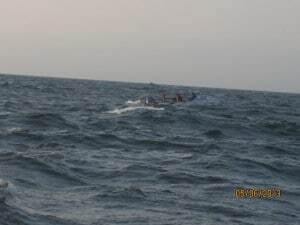 Skipper, Mikey Buckley stuck his head out of the aft hatch as we approached from astern – and we had a good chat. All in good spirits and blissfully unaware of race positions as mobile signal coverage poor for last 24 hours. Pleased to be in touch with leaders (7 and 15 miles ahead). All crew were fresh and chirpy, team spirit high – all contributed to discussion – a shouted interview at about 5metres off the aft quarter. 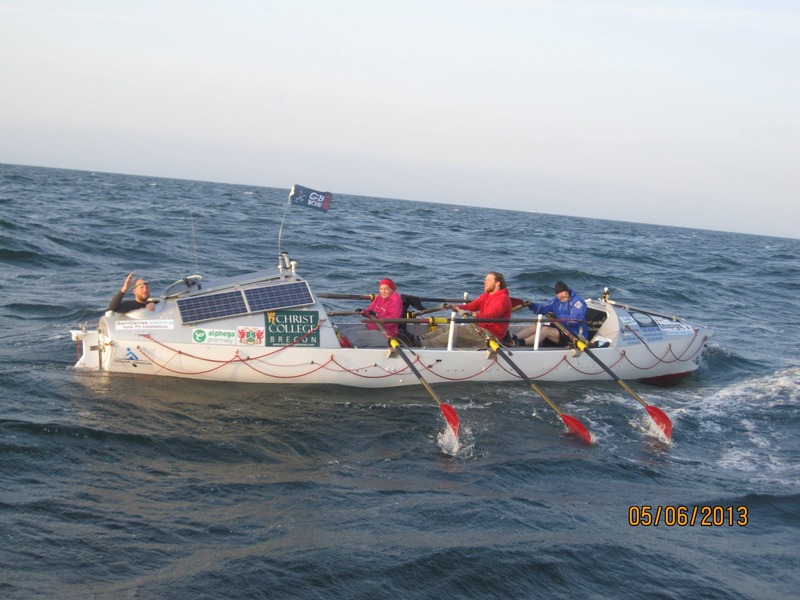 No injuries apart from some sore bums and a few blisters, settled into a good rowing routine and skipper estimates pass Land’s End at approx 02:00 tomorrow morning. 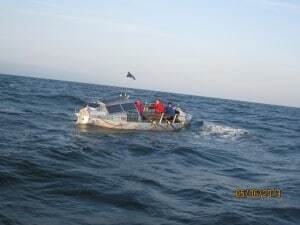 Repairs were proudly reported, notably the steering fixed with gaffer tape, tie wraps and the now missing flagpole aft. The GB Row flag was flying proudly on the aerial stanchion. Breakfast, then on to Penzance to catch lead boats, Islanders and Hallin Marine 2, who were too far away for this visit.